I pay a price for debunking various wind turbine flim-flams and posting critiques on my web site. Consequently, I am cursed to be listed by Google and Indian call centers as the person to call if a dissatisfied owner or investor wants to know how to fix the broken thing on their roof. Out of curiosity I return the calls and explore what led them to buy into the hype. This is always instructional though it can be equally depressing. They could have put that money to a better use if they had just done their homework . . . yada, yada, yada. I got another phone message today. The guy wanted parts for his Honeywell WindTronics device. He even dutifully read off the model number—as if that makes a difference for these things. I returned the call and we had an amusing exchange. As I explained to him I don’t have parts, never did. 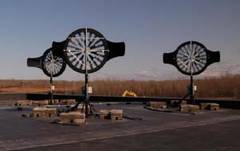 I tried to warn people about these “wind turbines” in articles going back to late 2008. Apparently, it was all to no avail. He didn’t do his homework. He never read my articles. He never heard of me. The Indian call center he reached gave him my number. . . I advised him to scrap it. He chose to leave it on his roof until the wind rips it off. Then he plans to collect the insurance on it. 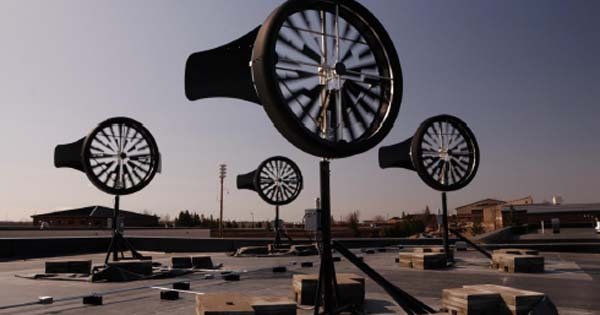 . .
Grifters selling wind thingies to other grifters.